I know I’ve told you about this before, but I think it bears repeating. For as many times as you’ll let me say it! The Best Bundle Ever that you can order from Stampin’ Up! is the Starter Kit! Your Starter Kit is fully customized by YOU! You choose which products you want. Your Starter Kit ship for FREE! Your Starter Kit includes a FREE past Paper Pumpkin kit (full kit – not just the refill). Your Starter Kit includes a FREE business bundle; catalogues, order forms, brochures. You get a minimum of 20% discount on all of your future product orders, for at least the next 4 months. You’ve got 4 months to decide if you want to remain as a demonstrator. You get to enjoy your Starter Kit, worry free, with no penalty if you decide to not continue. Can it get much better? Well – how about you are immediately a part of a huge, worldwide family of like-minded people, men and women. I’ve made so many new friends in my past 6+ years as a demonstrator. 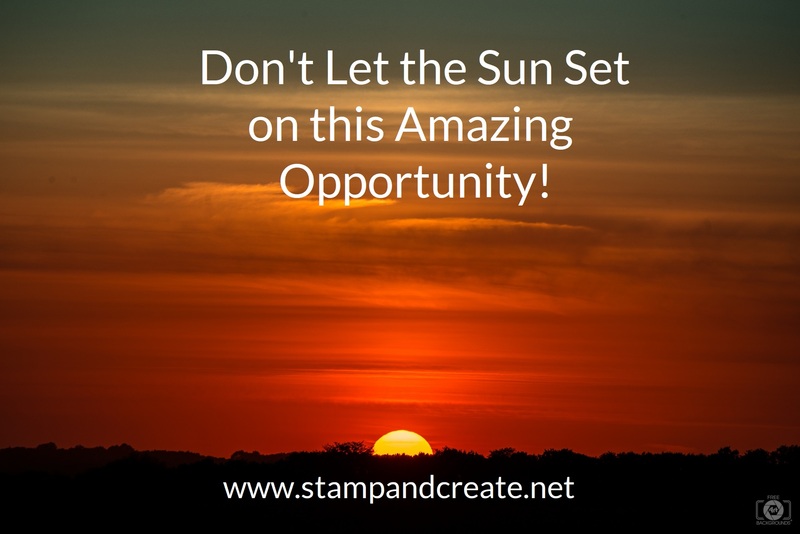 Not just the amazing customers, but the demonstrators I’ve connected with in our online community, and at live Stampin’ Up! events. Join before March 31st, and you’ll also get to choose an additional 2 stamp sets, any value – completely FREE! That a potential extra $130 value, depending on which sets you choose! Sale-A-Bration ends on March 31st, which is when the offer of the extra 2 free stamp sets ends, as well. Any time is a good time to join, but there are ‘better’ times – with special incentives like this! I’d hate for you to miss out. To miss out on the freebies, the discount, the fun and the friendships. If you have any questions – I’m here to answer them! You can also look online HERE for information, if you’d prefer. If you already know that this amazing opportunity is for you – JOIN HERE! I can’t wait to introduce you around!